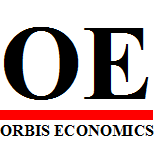 Orbis Economics: Time to rethink inflation targeting for now? 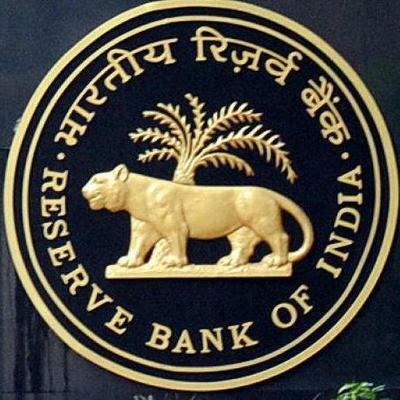 The Reserve Bank of India’s recent monetary policy decision to keep benchmark rates unchanged in the face of rising inflationary pressures is justified, but is also jarring as India braces for recessionary conditions up ahead. Headline CPI inflation stands at 3.4% for August 2017, the latest figure available. It has been accelerating for two consecutive months and is presently at a five month high. Some stiffening in crude oil prices, and expected increases in food prices are by themselves, enough cause of worry. However, the bank is also concerned about core inflation i.e. inflation ex-food and fuel, which jumped to 4.5% after staying at sub-4% levels for the past 2 months. This indicates that when noise in the form of seasonal or speculative pricing is removed from inflation calculations, the trend is still firmly upwards. The argument for the RBI staying put on rates is thus strong enough, especially in the context of the inflation targeting framework. The bank is obliged to keep inflation in the whereabouts of 4% in the medium-term and eventually bring it down to 2%. However, the obligation – as opposed to the earlier loosely defined inflation target (notably in the Reddy era) – is probably keeping the bank from making a balanced choice between inflation and growth at the present point in time. India’s growth rate for GVA was at an abysmal 5.6% in the first quarter of 2017-18, staying steady at that level from the previous quarter. It would not be a stretch to say that this is a recessionary condition, therefore. The situation is glaring if we consider the industrial sector, which grew by sub-2% levels. Going by credit growth rates to the sector, and particular to small and medium enterprises, the second quarter is unlikely to be any better. Agriculture too, will report a lower output than that during the previous year in the forthcoming quarter, based on the first estimates for Kharif production released by the Ministry of Agriculture. While last year was a significant outlier in production, creating a challenging base, the fact remains that agriculture growth will be dented. The RBI has itself lowered growth forecasts for the current financial to 6.6% from 7.2% earlier. This might still be optimistic in that it implies about 7% growth for the remaining quarters, which needs to be considered with caution. A build up in inflationary pressures going forward will be on account of the recent rise in global fuel prices as well as potential run up in food prices on account of speculative hoarding and marginally lesser food production. These are supply side factors impacting the relatively inelastic segment of the consumption basket. In other words, with a higher proportion of disposable incomes geared towards purchasing necessities, demand for discretionary purchases is likely to be impacted. Consumption growth has slowed down in the previous quarter, and the need of the hour is to prop it up further. This price hit to consumption demand therefore, needs to be balanced with encouraged consumer spending elsewhere. The fiscal side of policy making is usually quite efficient in kicking in when prices of essential commodities rise, fixing part of the supply side problem. For instance, there have been numerous times in the past when either imports of essential commodities have been increased, exports temporarily halted or a mix of the two been undertaken. The same could take the heat off inflation in the near future. Longer term fixes for sectors like housing also need to be found, where prices tend to be sticky downwards. According to a Cushman and Wakefield report, there has been a 16% decline in demand for residential launches this year, compared to the previous year. However, housing inflation has been moving in a relatively narrow range over the past two years. The demand side of inflation can also be curbed on a short-term basis to keep overall inflation in check, and prevent build-up of inflation expectations which could result in a self-fulfilling reality. However, in the current scenario, when a slowing down is looking far more plausible, there is a need to increase consumption levels. As long as there is excess capacity in the system, the extent of inflationary pressure due to increased discretionary demand might not be as high. And even if there is an inflationary pressure on account of this, it means increased pricing power for producers and an impetus to invest going forward. Therefore, allowing a short-term spike in inflation might be a good idea in order to enable an improvement in the overall economic environment at present. Much like the Fiscal Responsibility and Budget Management targets have occasionally been let go in favour of providing a fiscal stimulus to the economy, so too perhaps inflation targeting needs to be put on pause for brief periods. Finally, some good news about the reserve bank is released and people can know the whole info about this on your website. This is the best share by you!